본 연구는 조선초기에 발생한 여진을 비롯한 북방 민족과의 국제관계 변화 속에서 전술 및 병서편찬의 추이와 함께 제주도 전투마 생산의 연관성을 살펴본 논문이다. 조선초기 국제관계의 변화에 따른 전술의 변화 중 기병의 강화는 마정에 대한 지속적인 확대정책으로 이어졌고, 제주도는 최적의 목양 환경에 따라 조선 戰馬 생산지의 중심이 되었음을 알 수 있었다. 먼저 전투사적 분석으로 세종대 진행된 1, 2차 야인정벌은 기병중심의 전술체제 개편의 근거가 될 수 있었다. 이에 따라 세종대에 편찬된 진법, 계축진설 등의 병서는 기병전술을 보강하기 위한 방식으로 구성되었다. 특히 여진의 기병전술인 鳥雲陣을 계축진설에서 직접적으로 수용하여 조선군에 보급시킨 사례는 기병 강화의지를 살펴볼 수 있었다. 또한 문종대 오위진법에서는 騎步 비율을 5:5로 편성시켜 기병위주의 전술전개 향상을 확인할 수 있었다. 이러한 기병강화 정책에 따라 세종대부터 제주 목장에 대한 집중적 관리가 이뤄졌으며, 전마 생산에 다양한 노력을 기울이게 되었다. 그러나 섬이라는 특수성으로 인해 말의 운송 중 풍랑으로 인한 손실과 지속적인 徵馬로 인한 말 품종 악화로 인해 제주 전마생산은 한계가 드러나게 되었다. 따라서 세조대까지 지속적으로 제주와 목양 환경이 비슷한 전라도 인근의 도서지역과 강화도의 목장 개척과 種馬 수입은 이러한 한계를 극복하는 방안이 될 수 있었다. 그러나 기병강화 전술로 인한 전마 부족상황은 쉽게 극복될 수 없어서 수천 마리의 胡馬를 수입하는 등 다양한 대안이 모색되기도 하였다. 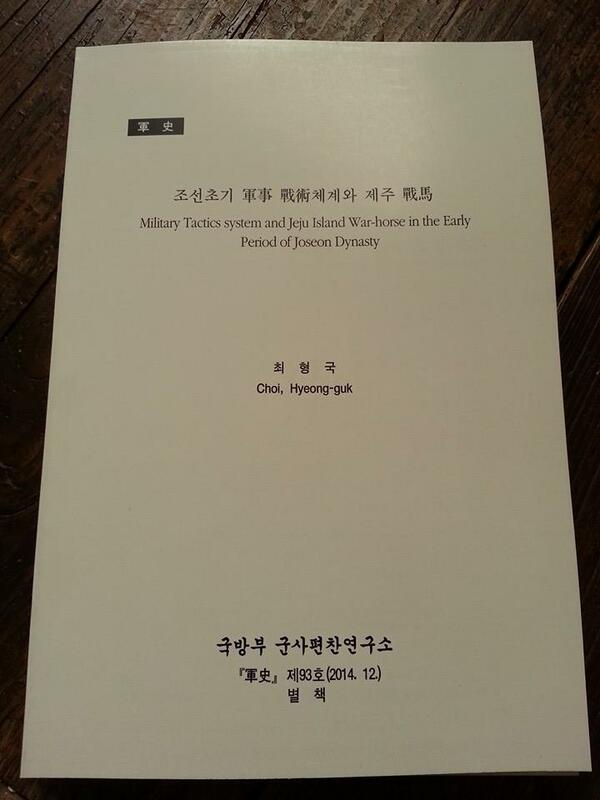 This study is correlation between productions of War-horses on Jeju Island with the progress of tactics and publishes of book on strategy in the change of international relations with northern race Jurchen in the Early Joseon Perid. In the early Joseon dynasty, reinforcement of the cavalry among the change of tactics according to the change of international relations had brought expansion of policy for cavalry. Jeju Island became the center to produce horses for battle with the best environment. First, primary and secondary conquests against northern race progressed with analysis of battle history in King Sejong’s reign could become a base for reorganization of cavalry oriented tactics. As a result, books on strategy 『Jinbup』,『Kyechookjinseol』 published in King Sejong’s reign were composed in the way to reinforce tactics for cavalry. 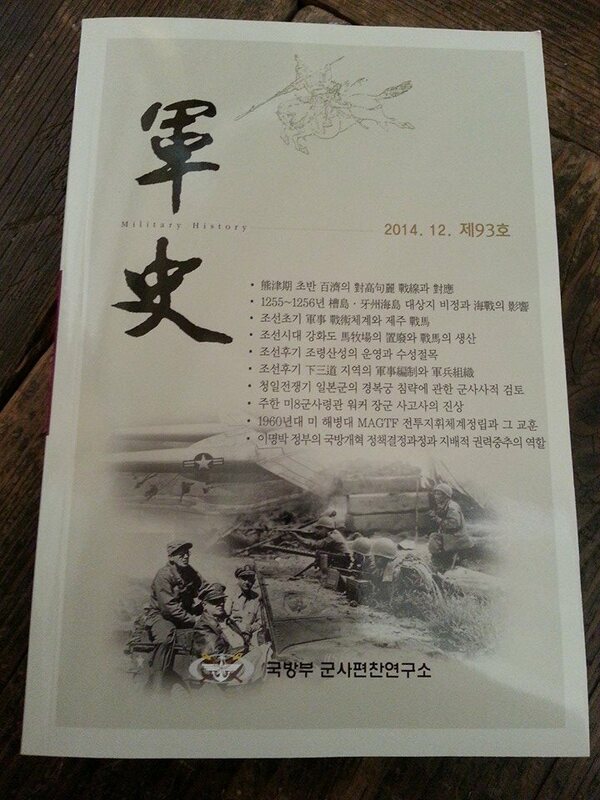 Especially, strong will for reinforcement of cavalry would be found by the case which northern race’s cavalry tactic 'Jounjin' was directly accepted and spread to all the soldiers in Joseon dynasty from the strategy book 『Kyechookjinseol』. Additionally, development for the cavalry oriented tactics was found as well and the ratio of Infantry to cavalry was 5:5 from the formation 『Owuijinbup』, King MoonJong. According to reinforcement for policy of cavalry, centralized management had focused on Jeju horse ranch to produce War-horses since King Sejong’s reign. However, the limit to produce horses for battle was emerged by loss in transit with distinct characteristics of the island and degeneration of breed cause of continuous horse collection. Consequently, import for breeding horses and reclamation of new horse ranch near Kanghwa island in Jeonla province where has similar regional characteristics as Jeju island to raise horses could be solutions to overcome the limit of produce horses.